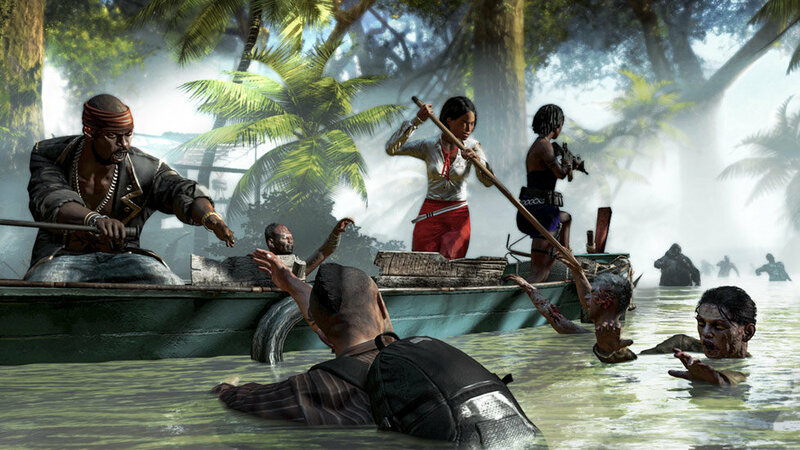 Dead Island Riptide is an open world Action Role-Playing game (RPG) in which players are tasked with surviving a viral based zombie outbreak isolated in a topical setting. The game is a follow-up to 2011's original Dead Island game, and contains additional Survival-Horror gameplay mechanics and a first-person player perspective. Additional features include: New and returning characters, new vehicle types, levels and weather conditions, online multiplayer support including co-op, group defense tactics, and escalating melee and projectile weapon proficiencies. Continue the RPG battle against zombies that have infested paradise in Dead Island Riptide. They thought they had escaped the terrors of Banoi and survived the apocalypse on a corrupted paradise. Then their fate took a turn for the worse... TheDead Island heroes managed to escape in a helicopter to the safety of a military ship, but when a furious storm strikes out of the blue, the virus that began the initial zombie plague suddenly spreads throughout the crew. And just like that, the nightmare has started all over again, leaving hope drowning in the rising tides. Dead Island Riptide brings back the franchise's explosive mix of open-world gameplay, co-op first-person action and Action RPG elements to fans worldwide. Also included is an eclectic mix of hero characters, each with with their own backstory.